For sale is this very unusual and exceptional mid century modernist silver condiment set comprising mustard, salt and pepper, with orginal mustard spoon and red liner. The set is a highly unusual spaceship design and dates to 1958 (salt) and 1961 (pepper, mustard and spoon). The salt is marked for the Central School of Arts and Crafts (CSAC) and the other pieces for CJ Vander. CJ Vander was one of the largest commercial silver makers of the post war era with its routes back to the 19th century. 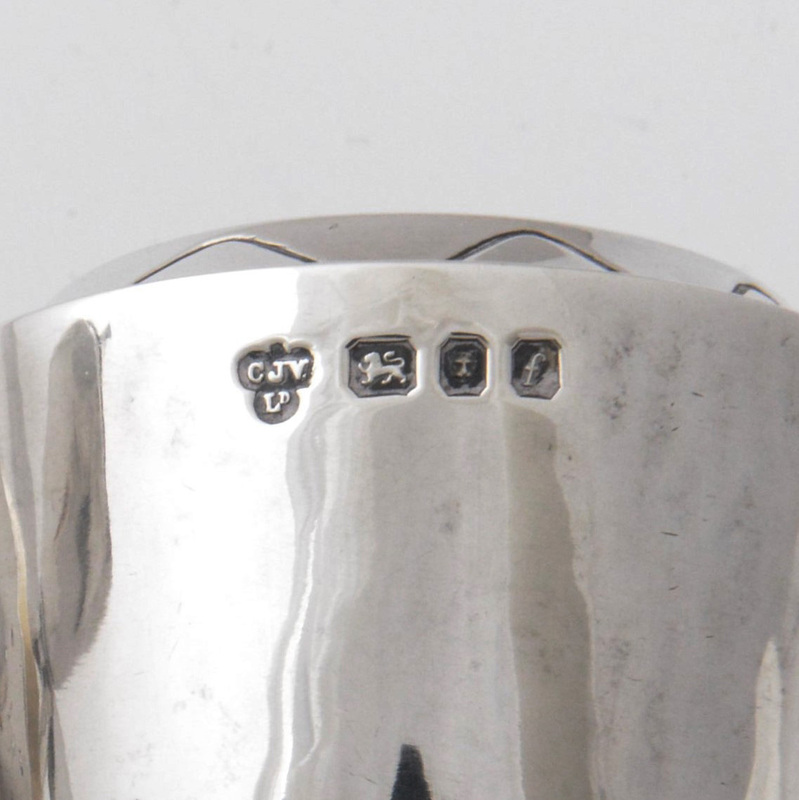 I am very confident this is not a matched set and believe the salt must have been made by a student or apprentice whilst at the CSAC with the rest of the set either made and/or hallmarked later once employed by Vanders. 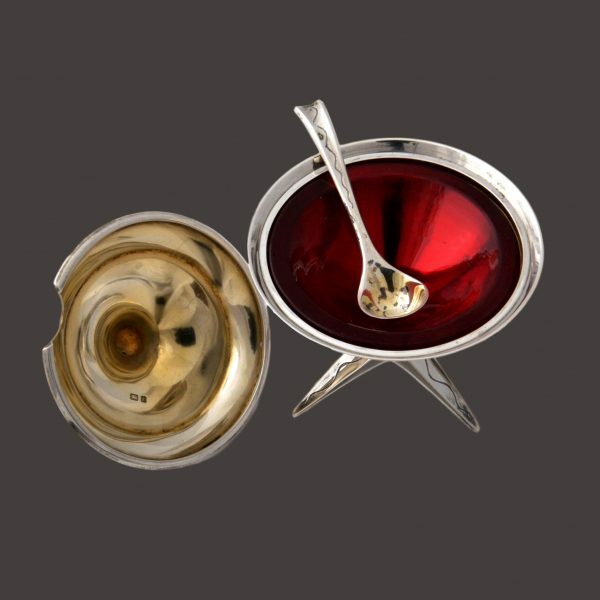 The two candiates that present themselves as designer/maker of these pieces is Reginald Hill or Richard F Cook. 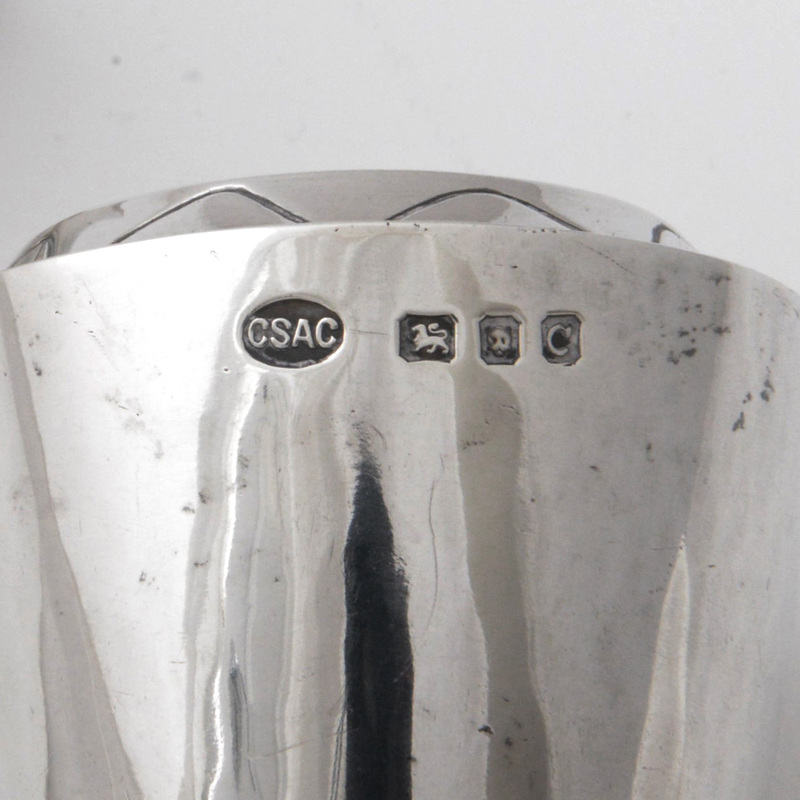 Hill is one of Britain’s most renowned mid century silversmiths who taught at this time at the CSAC and also worked for CJ Vanders in the 1960’s. Richard F Cook was apprenticed to Vanders and studied at CSAC from 1958. 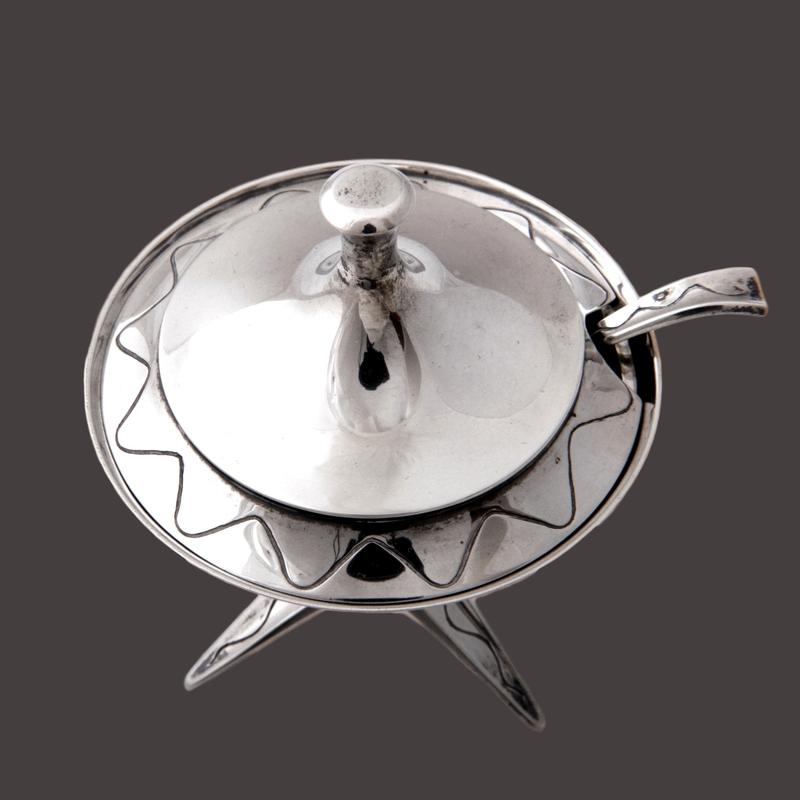 For more information on these silversmiths and silver of this period see “Designer British Silver” by John Andrews and Derek Styles. 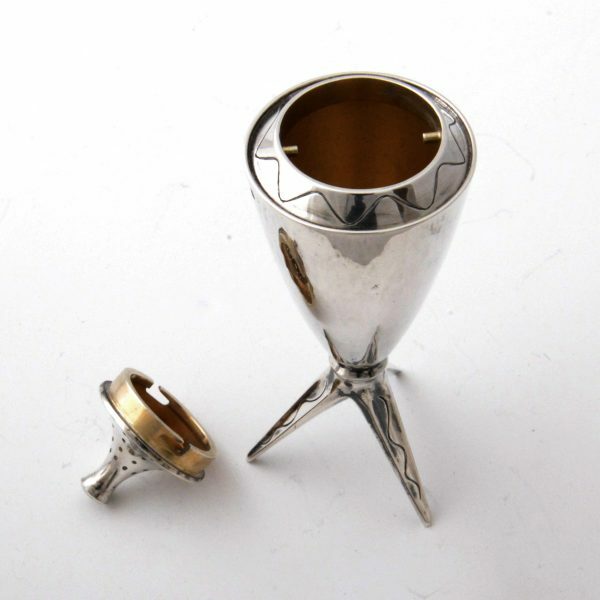 The set is made of an extremely heavy gauge of silver and in near perfect condition. 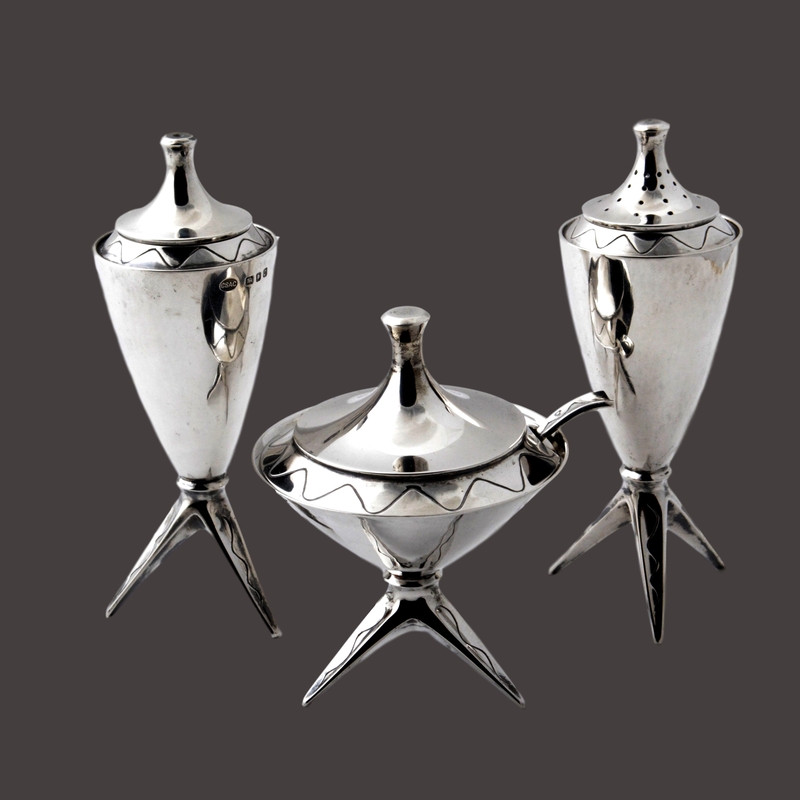 The design of the set is classic 50’s style rarely seen in silver.